Our team specializes in dealing with all sorts of different garage door problems. We also perform a variety of auxiliary services that can help your system live up to its full potential. Check out some of our latest projects. Customer Issue: One of the customer’s torsion springs broke overnight and he was afraid to try and use his garage door, and justifiably so. Our Solution: Our team released the garage door springs slowly, carefully letting the tension out gradually and taking extra care that no fragments of the broken ones remained stuck in a wound-up position. Then they removed the caps, serviced and reequipped the spindle, and reconnected the opener and torsion system for testing. 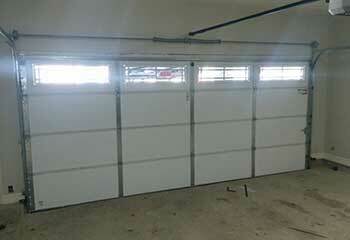 Customer Issue: The garage door started moving slowly and unsteadily, and making noises. It didn’t take long for Mr. Seldon to figure out that a couple of the rollers weren't turning. Our Solution: Our team found that the rollers had broken rather than simply got stuck, so we replaced them with new ones. We also lifted the door to straighten the track, as the broken rollers had been scraping it and caused some minor bending. Customer Issue: Mrs. Daniels couldn't get her garage door remote to work. Our Solution: Our technician found that the remote was in good condition and that the batteries were good. He reprogrammed the control and it began functioning correctly. 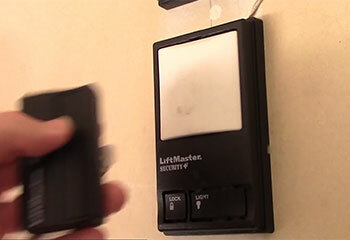 Customer Issue: Mr. Benjamin needed our help to repair his door sensor so that it functioned properly. Our Solution: We found that the sensor was working fine but the sensor's bracket needed to be replaced. 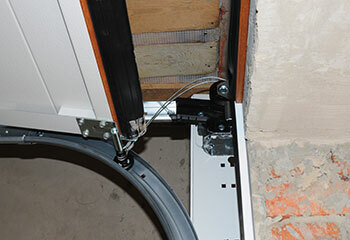 We then realigned the unit to make sure it and the door were working properly. 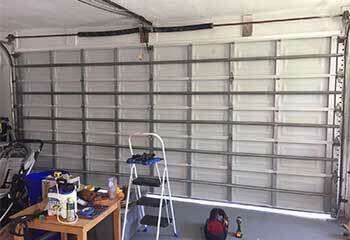 Customer Issue: Ms. Alfreds requested our help to fix her slowly operating and noisy garage door. 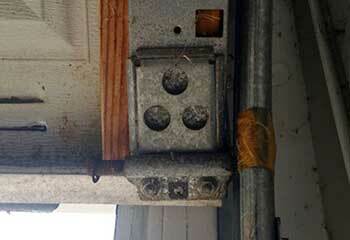 Our Solution: Our team tightened up a loose track, replaced some missing bolts and a frayed cable. We then adjusted the door and tested it for proper operation.